The British high street spent the early part of they year in the doldrums thanks to some high profile administrations, but BDO says cash-strapped Brits are still keen to buy - if the price is right. New figures from accounting firm BDO, released today, have shown that many high street retailers are seeing the largest sales growth for more than a year thanks to shoppers looking for cut prices and items in the sales. Sales in February rose 3.9% compared with the same period the previous year, a big improvement on the 0.4% dip experienced in January. BDO says the most buoyant sectors of the retail market were clothes and household goods, although gifts and Valentine’s Day bolstered sales yet further. It’s worth noting that many retails extended their January promotions after a stagnant Christmas period and disappointing January – a tactic which appears to be paying dividends. 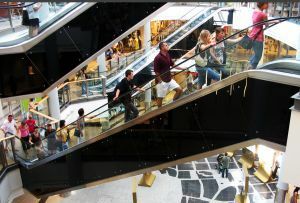 BDO’s figures are compiled based on the weekly sales figures from 70 retailers that own 10,000 outlets across the UK, and analysts are saying that this is the strongest improvement seen in retail since the global financial crisis sent sales into a nosedive.